Ford Products – 1968 1969 Fairlane, Falcon Galaxie 500, LTD, Mustang, Thunderbird (T-Bird), Torin0. Ford Motorcraft 4 BBL 4300. This is a professionally re-manufactured carburetor, it was assembled using high quality components, brass bushings were installed in the throttle shaft and the base was re-machined. One Original Edelbrock 600 CFM Carburetor. It was removed from a 1973 Ford Galaxie 500 with a 429. It was working when removed. This carburetor is sold as a used core to rebuild. 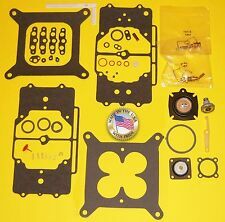 #s: 140 6-2445 & 1495 Ford 429/460 throttle kit. Holley 8007 390 CFM Classic 4bbl 4-Barrel Carburetor w/ Electric Choke. Condition is Used. This is off of an excellent running Dodge slant 6. No longer needed as we went to a V8. Continential USA shipping only. Rebuilt Ford 2bbl Autolite Carburetor. V8 and 2 BBL Carb with Automatic Chock Carburetor. 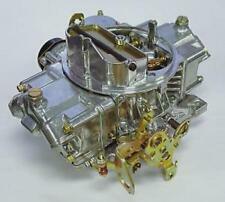 Check the pictures and compare as the Carburetor pictured is the actual Carburetor you will receive. Manual or Automatic Transmissions with Automatic Chock. Universal Holley 1850 4160 model 600 CFM 4 barrel carburetor with hand choke choke. • 100% complete with choke pull-offs and electronics, where applicable. From core to finished product, this carburetor was rebuilt to factory pre-set internal and external settings. Trending at $229.95eBay determines this price through a machine learned model of the product's sale prices within the last 90 days. 1968 - 1969 Ford Products, Fairlane, Falcon, Galaxie 500, LTD, Mustang, Thunderbird (T-Bird), Torinno. Motorcraft 4 BBL 4300. Check the fuel system before bolting on the carburetor. This is a professionally re-manufactured carburetor. Aluminum Hi-Flow fuel line pictured is included, with 2 fuel inlet gaskets, and one base gasket! 1964 - 1966 Ford Mustang, Fairlane, Custom Galaxie 500, LTD. Check the fuel system before bolting on the carburetor. This is a professionally re-manufactured carburetor. 260" 4.3L, 289" 4.7L, 292" 4.8L, 8 cyl Engine. Model: FORD THUNDERBIRD. THUNDERBIRD 68 8-429. THUNDERBIRD 69. FORD (FULL SIZE) 69 8-429, 4BC. Part Grade Abbreviations. cc = Credit Card size units. C = Greater than 200k miles. B = Greater than 60k miles and less than or equal to 200k miles but greater than 15k miles per year. Trending at $378.75eBay determines this price through a machine learned model of the product's sale prices within the last 90 days. These all aluminum Race Demon carburetors are the Cadillac of carburetors, and are loaded with high performance options!This carburetor should be considered for race, and high performance applications! Installed is a high=flow 4-door power valve, Primary main jets sized at 68. secondary main jets sized at 76. Fuel inlet fittings seen pictured are included as well as one base gasket! 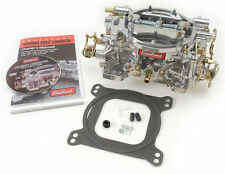 Included is one base gasket, and all extras as seen pictured! This carburetor ready to bolt on and go! It doesn't have the Ford kick-down lever! Up for sale here is a very, very nice professionally rebuilt ready to go Universal Hi-Performance Barry Grant Race Demon RS 3423010 OT 825cfm Gas Race Carburetor. The current blue sleeves, and black base plate included are setup for a 825cfm race application. This carburetor has just been professionally disassembled, and rebuilt to Holley factory settings with all Holley gaskets! Included is one fuel inlet fitting with gasket, and one base gasket as seen pictured! Included are 2 fuel inlet fittings, and one base gasket! Manufacturer: Holley Performance. Holley has been the undisputed leader in fuel systems for over 100 years. Now, Holley EFI is dominating the performance world as well as our products for GM's LS engine. 5 out of 5 stars - Holley 0-8007 Carburetor 390 cfm Electric Choke,4160 Series,Single Inlet. 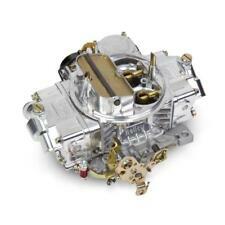 14 product ratings14 product ratings - Holley 0-8007 Carburetor 390 cfm Electric Choke,4160 Series,Single Inlet.